Africa has been coveted for its riches ever since the era of the Pharaohs. In past centuries, it was the lure of gold, ivory, and slaves that drew fortune-seekers, merchant-adventurers, and conquerors from afar. In modern times, the focus of attention is on oil, diamonds, and other valuable minerals. Land was another prize. The Romans relied on their colonies in northern Africa for vital grain shipments to feed the population of Rome. Arab invaders followed in their wake, eventually colonizing the entire region. More recently, foreign corporations have acquired huge tracts of land to secure food supplies needed abroad, just as the Romans did. 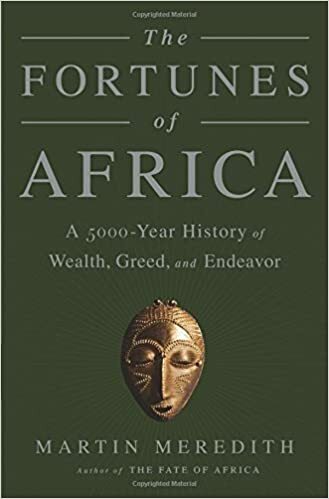 His cast of characters includes religious leaders, mining magnates, warlords, dictators, and many other legendary figures—among them Mansa Musa, ruler of the medieval Mali empire, said to be the richest man the world has ever known. “I speak of Africa,” Shakespeare wrote, “and of golden joys.” This is history on an epic scale.